Comtek is Europe´s largest independent 3Com Repair Service. Our in–depth technical knowledge and experience are your guarantee that Comtek’s Used & Refurbished 3Com switches, routers and access products will function just like they did when they were brand new. We are the preferred source for tested and warranted Used & Refurbished 3Com switches, routers, modules and accessories. Our stock includes current, discontinued, and legacy products. We also provide rock-solid warranties on all our Used & Refurbished 3Com switches, routers and access products. 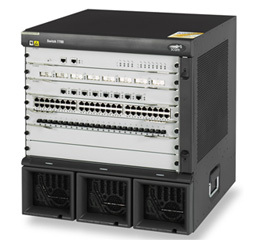 Comtek’s Used and Refurbished 3Com products provide great value for money. Whether you require Used or Refurbished 3Com switches, Used or Refurbished 3Com routers, or other types of Used and Refurbished 3Com hardware, Comtek can provide all your requirements.